I’m a Registered Financial Advisor and I paid my first mortgage off in less than 4 years. After 8 years in the Military I started my first business in the financial services industry when I was 24. I’ve been self employed since then. I first started practicing mortgage debt reduction planning back in 1988. 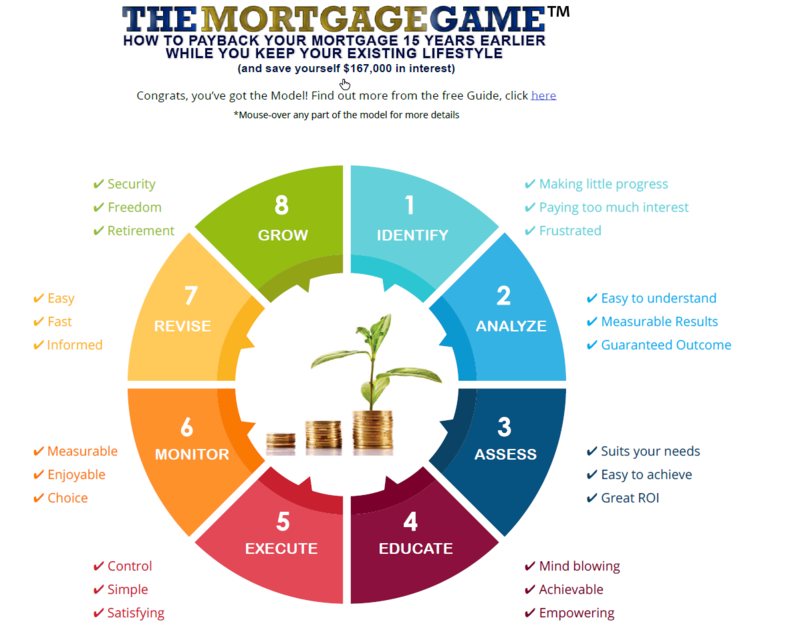 In 2008 I started trading as Freehold Express and that’s how The Mortgage Game® came to be. I’m the only mortgage debt reduction specialist in NZ and one of only a few on the planet. Nobody else in NZ can claim that fact (although there’s probably a few Mortgage & Insurance Brokers and “Money coaches” that may try). You may be wondering why I claim to be the only specialist in NZ and the answer is that there were no decent mortgage debt reduction tools available in the market when I started; everything that was available was designed by lenders for the benefit of lenders, so it was no good to me. I needed tools and processes that worked for borrowers instead. I had to develop my own mortgage calculators, mortgage debt reduction planning software, client relationship management systems and online processes. Then I had to piece everything together, make it simple, and then nice and easy for my clients to use. This resulted in my systemised value delivery Model that shows my clients how to easily pay their mortgage off in up to half the time while they get to keep their existing lifestyle. It’s taken me eleven years to build the entire Model but now I get to enjoy helping more clients from all over New Zealand. Dennis talks first hand about Freehold Express and how their debt reduction strategies can help homeowners to become mortgage free faster than they could have ever imagined.